In the coming weeks and months, the communities and landowners across the Midwest will want to act as quickly as possible to get back on their feet. A key step will be deciding whether to rebuild back the way things were, or to choose new options that could make us more prepared for the next flood. 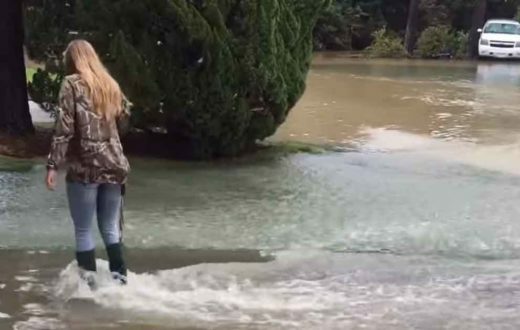 We’ve all been watching the dramatic footage of flooding in the Midwest, destroying homes, fields of crops, infrastructure and even air force stations. The scale of the damage is daunting and it can be hard to wrap our heads around the scope of change that is needed in order to avoid such catastrophic damage in the future. In the coming weeks and months, the communities and landowners across the Midwest will want to act as quickly as possible to get back on their feet. A key step will be deciding whether to rebuild back the way things were, or to choose new options that could make us more prepared for the next flood. There’s a famous quote by Gilbert White, the founder of the floodplain management movement: “Floods are an act of God; flood damages result from the acts of man.” The rain will always fall, but the decisions we make about how we manage our rivers and use our floodplains determines how extensive the damages are during a flood. The rivers across the Midwest, and much of the country have been dramatically altered from their natural states over the last century. Before Europeans settled in the Midwest, big rivers like the Missouri and Mississippi would spread their flood waters out across wide floodplains, slowing the flows, and rejuvenating robust floodplain habitats. As farmers sought to make their land tillable, they straightened streams and created extensive levee systems to keep flood water off their land and in the streams. About a century ago, the Army Corps became the official flood control agency of the United States building monster levee systems along our big rivers. At last count, they oversee almost 30,000 miles of levees across the United States. As shown in this excellent piece by Propublica, relying on levees can have unfortunate consequences. Levees create the illusion of safety, and the “protected” floodplain can be attractive places for people to build communities and businesses. But trapping flood waters in a narrow channel forces water to move downstream more quickly, which puts stress on levees. When floodwaters overtop or breach a levee, the results can be catastrophic to the communities and fields behind it. To make matters worse, when levees fail, it tends to happen at the same spots meaning we see a damage and repair cycle play out flood after flood. 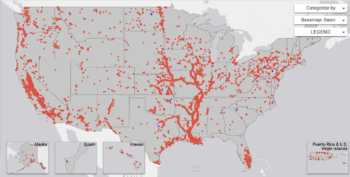 In many areas across the country where a historic reliance on levees has led to increased flood risk, communities and landowners are choosing to reduce the risk of future levee failures by creating more room for flood waters to spread out across the floodplain. These natural flood management approaches to alter levee systems and make room for rivers to flood can come in many forms. After the 2011 Missouri River floods, a flooded landowner was tired of having his levee fail during floods, and asked the Army Corps to do a levee setback rather than rebuild it back along the river. In 2010, the Army Corps worked with Iowa Department of Natural Resources to acquire the 300 acres of floodplain land and transfer it to the Green Island Wildlife Management after a repetitively damaged levee breached on the Maquoketa River in Iowa. In Yakima County, Washington, after repetitive damage to their levee system, the flood control district is proactively reconnecting the Yakima River to the floodplain to reduce future flood damage. 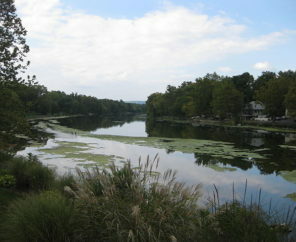 Each of these projects reconnected the river with the floodplain and reduced flood risk. 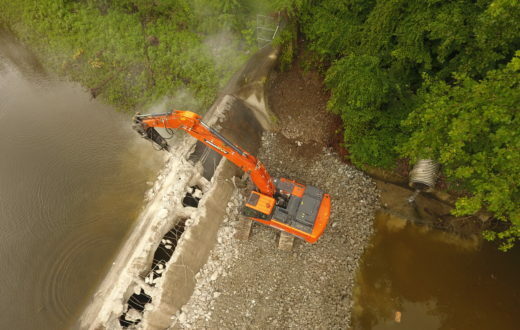 But they had another thing in common — they were implemented after levees were damaged by a flood. Unfortunately, examples like these are few and far between. After a flood, there’s pressure to rebuild levees as fast as possible, to be ready before the next flood hits. 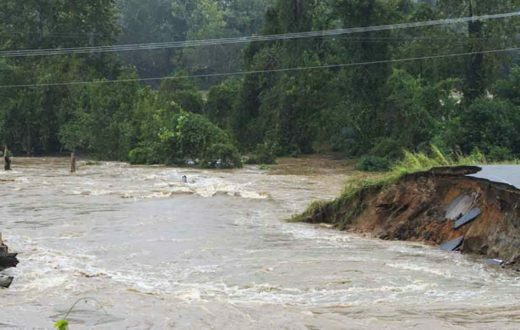 Unless an alternate solution has been identified and planned ahead of time, there may not be time to plan a levee setback or get landowners on board with an acquisition or new idea. After the 2011 Missouri River flood, the Omaha district of the Army Corps explored levee setbacks, and potential to implement projects after a flood. 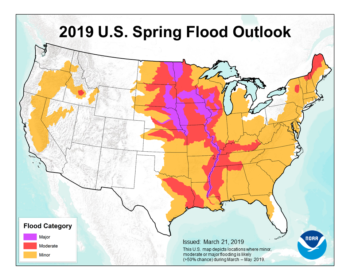 River managers across the Midwest should build upon their past success and planning to implement projects that give the river additional room to flood whenever they are repairing damaged levees. We need to work as quickly as possible with landowners and other stakeholders to identify opportunities to create more room for rivers to flood within the existing flood control system. Great insights. Thank you for your work on this very important issue. Amazing the cycles for our awareness and openness to shift our response. We had some unprecedented opportunities for setback levees and progressive floodplain management following the CA 1997 floods … yet still so many limitations wrt implementation. The process of accepting this unavoidable reality — that floods will happen no matter what we engineer — seems so slow. Yet the message is so clear when we consider all earth elements. The shifts in our relationship to forest practices and fire is similarly essential if we want Sierra forests to exist in the coming decades .. let alone forest dwellers to survive. Yet how long are ears open to progressive change? The questions remain – are we choosing to live WITH these natural processes and are we willing to break from our “serial engineering” history? And will we prioritize the funding and required changes to do so? Like the Green New Deal — a radical shift is needed at this critical point in time. Great article. Good luck getting any of these suggestions implemented. Your best bet might be to print millions of paper flyers the say “I told you so” and prepare to drop them next time, and there will be a next time. Folks are slow learners. You might also enlist the support of the Insurance Industry. IF the Insurance Industry declared “If you build in a flood plain, NO insurance”. This works in Florida for Hurricane Building Standards, not in compliance, no insurance. 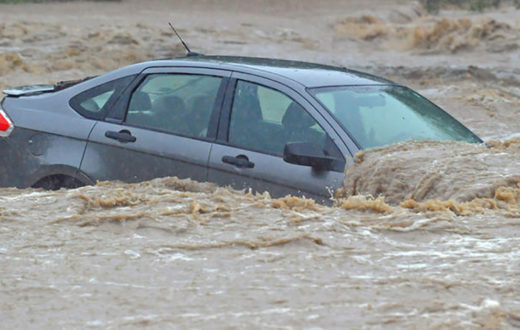 I recognize the need for a more natural floodplain. But the details of the human-nature interaction this would entail are cloudy. How much farmland would be left fallow? 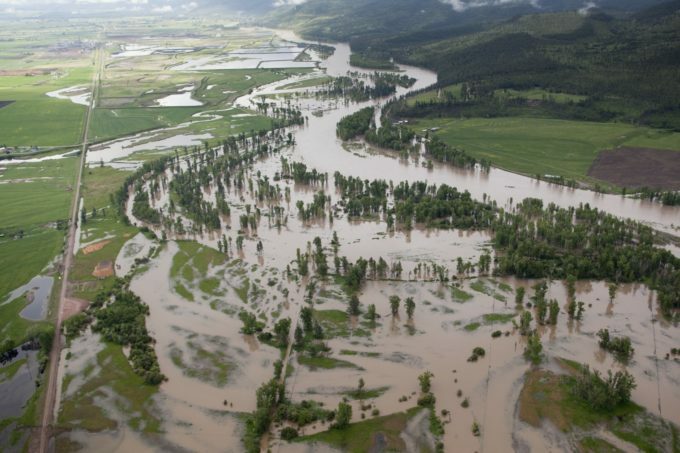 Is there a way to capitalize on the deposit of silt in the expanded floodplain? We need a projection of the best-case consequences so as to be able to form a mental picture of a future that will inspire fair-minded residents. Paris accords standards are met, so it is far better to bite the bullet, move farms and towns back far enough to allow the rivers to spread. A new mindset has to be promoted: cherish living in harmony with nature instead of trying to bend it to human convenience.